The ultimate sandwich slice, these bad boys and bread were a match made in heaven. Use in a cold cut or heat them up for a plant based chzsteak or reuben. 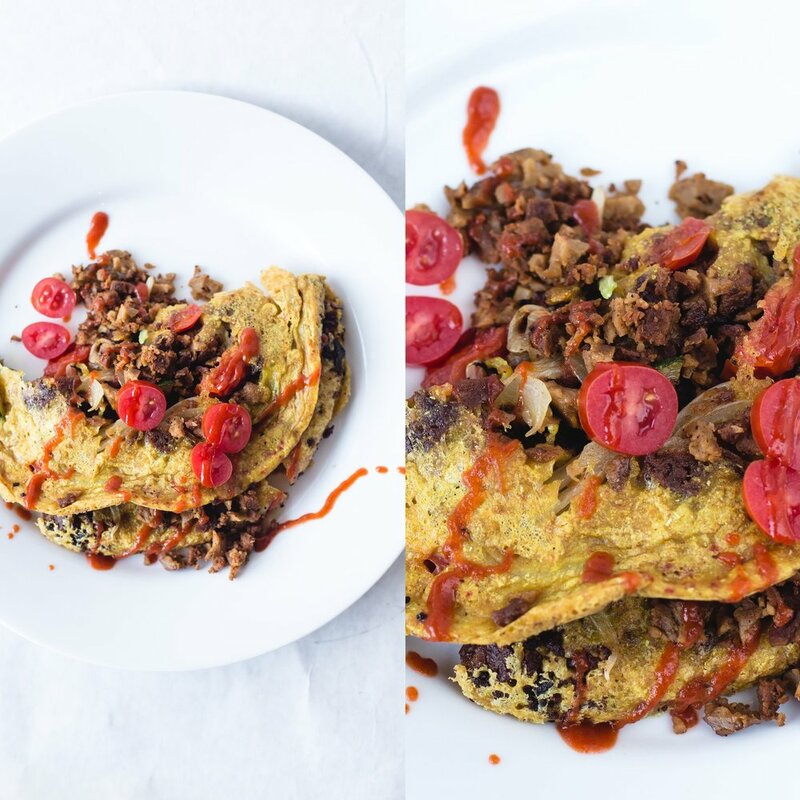 Our plant based seitan chorizo will have you taking your tacos, nachos or breakfast scrambles UP A NOTCH. Ready to go in our house made chipotle sauce marinade, we make it easy for you to make your next meal meatless. 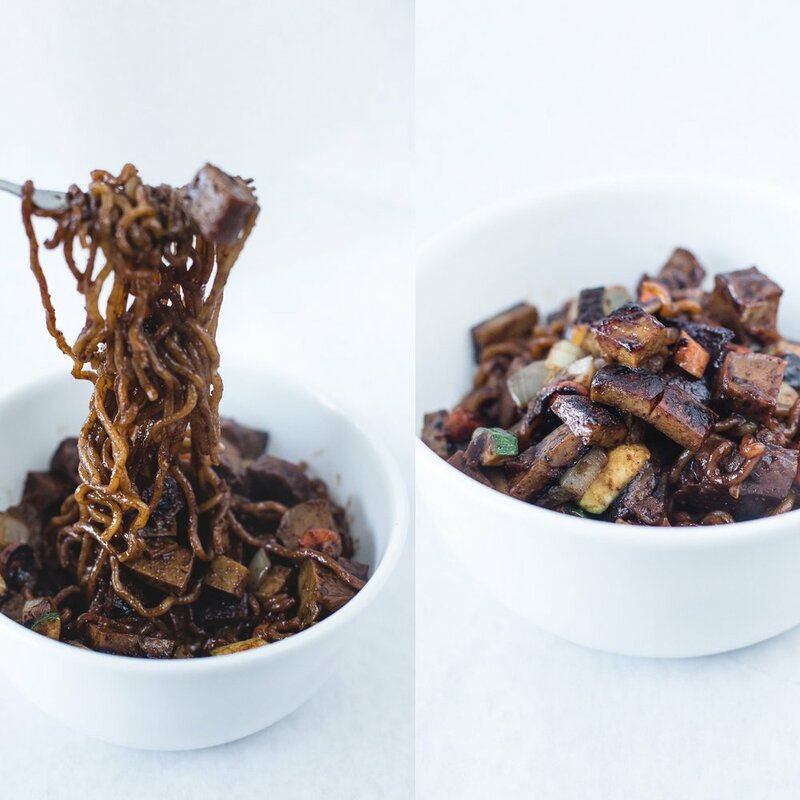 Perfect for a cook out or a night in with a stir fry and some buds, our seitan filets are bathed in our savory BE-1 marinade and ready for you to turn into something magical. This pepperoni will take your pizza to the NEXT LEVEL. Made with sun-dried tomatoes, lots of fennel and spices, this seitan pepperoni is great even on its own! What goes well with everything? PLANT BACON! Our marbled seitan bacon is a little smokey and a little sweet. Fry some up for breakfast or make a dope Avocado BLT for lunch. Our Roast BEef makes the perfect sandwich. Serve it hot or cold! Goes great with cheeze sauce for that classic beef and cheddar or horseradish! Peppery TRKY slice makes a primo sando. Sliced thin and subtly spiced, you'll love it! Suggested Uses: Fresh, cold sandwiches or warm with apples and cheeze. Been dreaming of the world’s best reuben sandwich? Well, We've got you covered. Slightly smokey, lightly spiced and ready to be packed between rye bread. Our seitan and quinoa breakfast sausage is a protein-packed patty perfect for breakfast brunch or brinner. With out seitan meatball mix, you get the satisfaction of rolling your own meatballs at whatever size you prefer, perfectly seasoned and absolutely delicious. This spicy italian crumble is so versatile, y'all. Great in a bolognese, this seitan crumble would even work wonders in a country style gravy over bizkits. Suggested Uses: Meat sauce for spaghetti, pizza, or biscuits and gravy! This seitan taco meat is ready to be the star of your taco Tuesday. Well-spiced and perfect in a burrito, on nachos or in a crunchy shell. 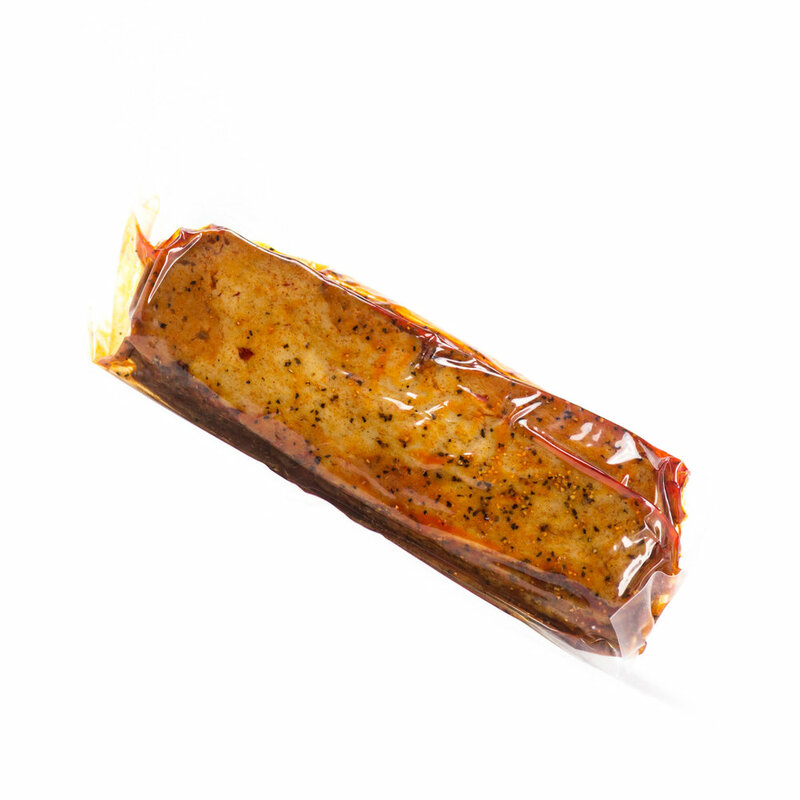 Our Andouille is the perfect addition to your gumbo or jambalaya. Get a taste of New Orleans right in your kitchen! Fire roasted jalapenos and sweet pineapple have always been best buds and now they are shacked up together in this succulent and cheesy seitan sausage. Our gluten free protein option is so versatile. Fry it up and toss it in your salad, throw it in a curry or taco, or make a chxn white bean chili. 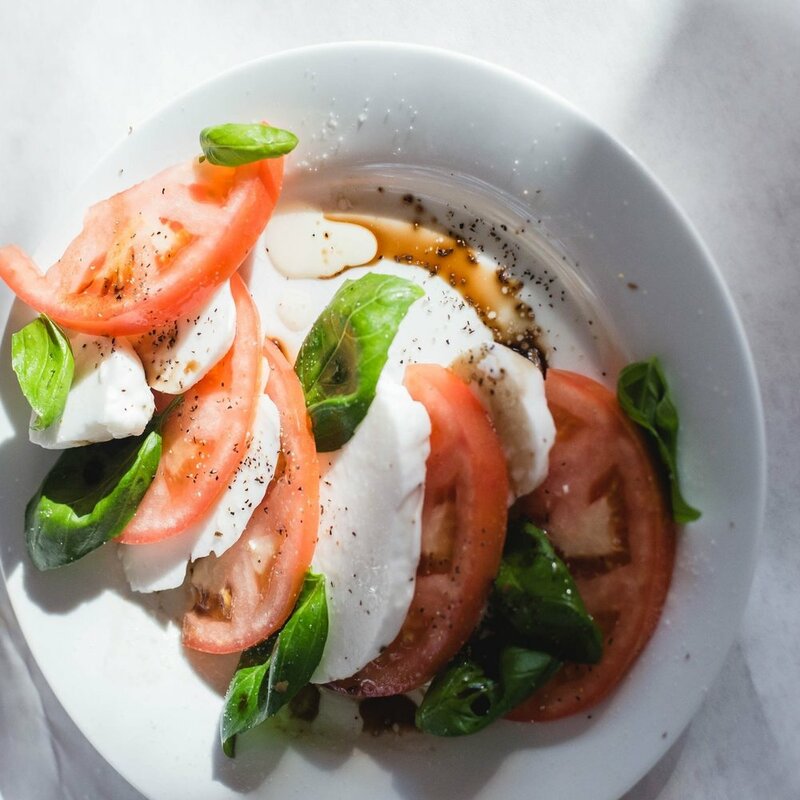 Marinated in Italian herbs and spices, this coconut based mozzerella is a delectable plant based alternative in a caprese salad or on a neopolitan style pizza! Suggested Uses: Paired with tomatoes and basil, on a pizza or on a cheese plate! Lightly smokey, dusted in smoked paprika, this rich and creamy cheeze is great on a cheeze plate, on a sandwich, or melted on a bbq pizza. With a mild roasted garlic undertone, this chz is perfect for almost any recipe! Melt onto pizza, slap between bread for a delicious grilled sandwich, or melt into plant milk for a creamy alfredo sauce. 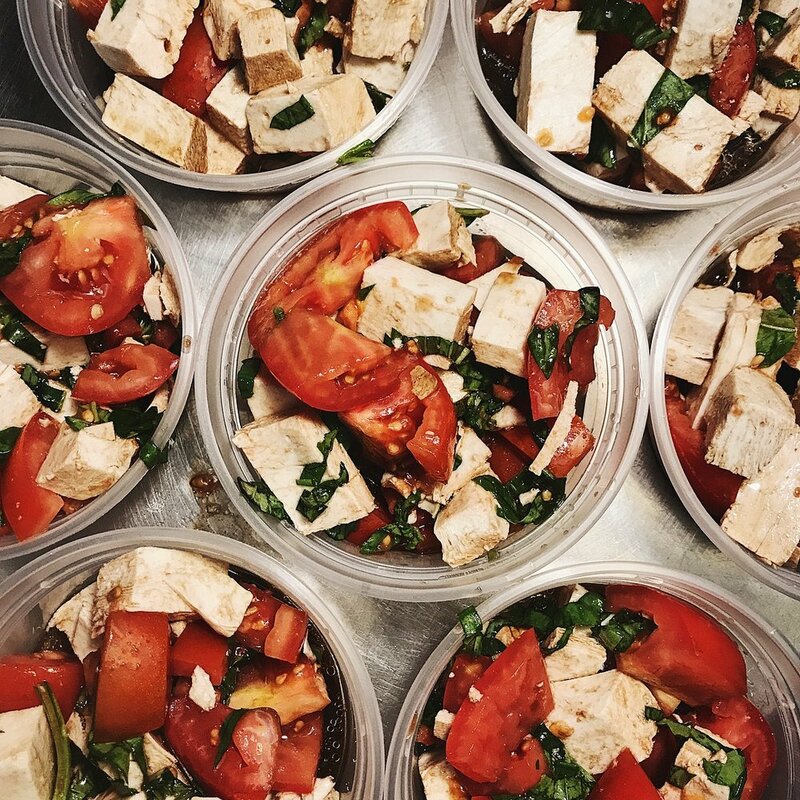 Our mayo is made in house from soymilk and canola oil so you can trust that it's cruelty free AND delicious. Suggested Uses: Spread it on a sandwich, add it to potato or pasta salad, blend it with avocado and lime for a delicious taco topping. Rich and full of umami like the original but no anchovies harmed! Suggested Uses: Toss romaine in this classic dressing! Our vegan take on the classic. Suggested Uses: Dip a BE-Hive seitan wing in it, serve with crudite or on a salad. Interested in adding one of our wholesale items to your store or restaurant? Reach out to us at wholesale@bethehive.com for more information or a quote based on your needs and ideas. Check out our Where to Find page for places that use or carry our products around Nashville and beyond.